Results of an effective safety management system can be impressive. For example, Eagle Force client Camille Hebert, General Manager, of the cookware manufacturer, T-FAL reported after certification to OHSAS 18001 that his costs of accidents decreased 91% and Workers Comp rate dropped 50%. The Occupational Health and Safety Management Systems standard OHSAS 18001 is gaining a lot of attention around the world as occupational health and safety (OH&S) costs soar, now for most organizations becoming the third highest costs behind only materials and labor. Occupational Health and Safety Management Systems standard OHSAS 18001 provides requirements for an effective occupational health and safety management system that will enable an organization to control its OH&S risks, improve its safety performance, and reduce safety-related costs. The standard does not state specific OH&S performance criteria, nor does it give detailed specifications for the design of a management system. Rather the standard provides the broad guidelines an organization needs to design and implement an OH&S management system that is most appropriate to their use. Make a self-determination and declaration of conformance with this OH&S specification. All the requirements in OHSAS 18001 are intended to be incorporated into a OH&S management system, but the extent of the application will depend on such factors as the OH&S policy of the organization, the nature of its activities and the risks and complexity of its operations. OHSAS 18001 is widely seen as the worlds most recognized occupational health and safety management system standard. 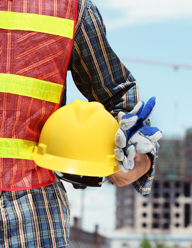 This OHSAS specification is intended to address occupational health and safety rather than product and services safety. OHSAS 18001 promotes a safe and healthy working environment by providing a framework that helps organizations to consistently identify and control health and safety risks, reduce the potential for accidents, aid legislative compliance and improve overall performance. SUITABLE The system must be suitable for the organization -- Neither overly complex or unrealistically simplified. It must fit the organization, its processes, products/services, and personne. EFFECTIVE The system must be effective in accomplishing the organization safety goals and objective.